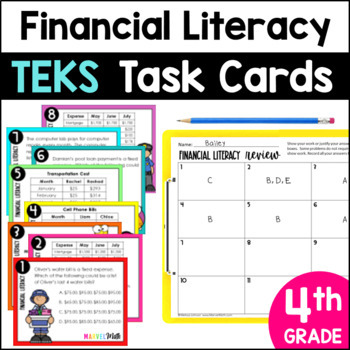 This set includes 12 Task Cards with STAAR formatted questions to help students practice the Personal Financial Literacy TEKS. Topics include Fixed vs. Variable Expenses, selling scenarios for students to Calculate Profit, and the Basic Purpose of Banks and Financial Institutions. Both color and blackline cards are included. 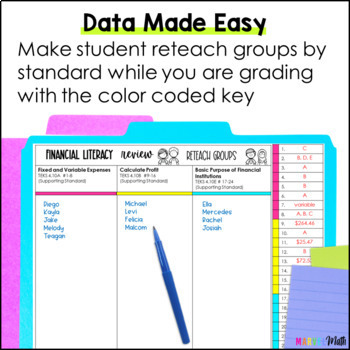 I have also included a color-coded diagnostic key to help you make re-teach groups based on the TEKS your students haven't mastered. 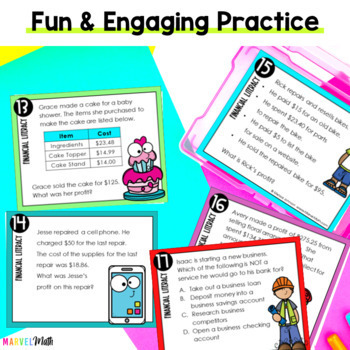 You will know exactly who needs help and have an organized plan for small groups after using this resource. I included a mini-cover and a mini-key for each level that are both task card sized to help with organization. *Please note that TEKS 4.10C & 4.10D are not included in this set because they are not tested on the STAAR test.